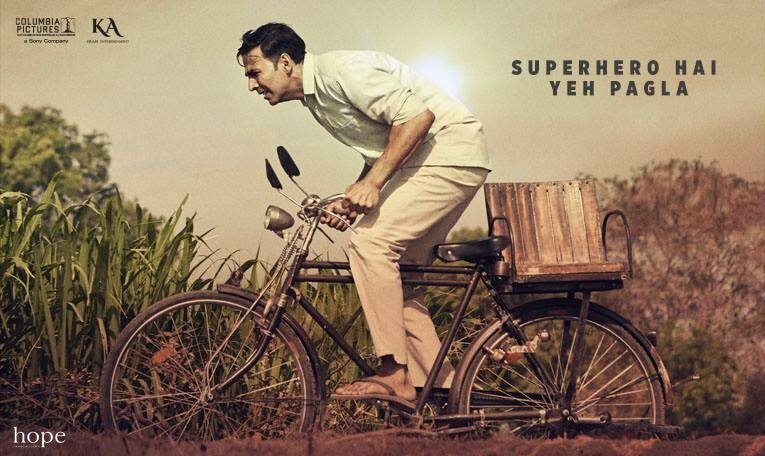 PadMan Movie is another Bollywood masterpiece that will be hitting big screens on the occasion of Republic Day of 2018 that is 26th January. The movie is based on a novel written by Twinkle Khanna’s book ‘The Legend of Lakshmi Parsad’ which is inspired the life of an activist from Tamil Nandu state named as Arunachalam Muruganantham, who was the person to revolution on the concept of menstrual hygiene in rural India with the production of a low-cost sanitary napkins machine. Also, the movie will be not too serious, it is a set to be a biographical comedy-drama which is written and directed by R. Balki and produced by Akshay Kumar, Twinkle Khanna, Sony Pictures India, Gauri Shinde, R. Balki, Prerna Arora and Arjun N. Kapoor. The film will be starting the Bollywood Khiladi who has become an ideal for the whole generation of present time along with this he is inspiration for all the youngster who want to be an actor, the person is none other than Akshay Kumar. Along with him is the very beautiful, Sonam Kapoor. Radhika Apte, Sudhir Pande and Maya Alagh are also the part of star cast. There is a special cameo appearance by Big B that is Amitabh Bachchan in this film who will be doing the job of Narration in some part of the film. As it is a biopic, so we do need a strong support of narration from a very powerful voice. Most of the part of PadMan is shot in India itself and in India also, it is mostly south, this is done just to match life of the real hero, on whom the movie is being made, also that this activist from Tamil Nadu is also called as India’s Menstrual Man, this title is not only given by the movie but before the film. He is titled as this. After the shoot in India, some parts of the film are being shot in New York City especially at Brooklyn Bridge, Times Square and at Jazz at Lincoln Center. Music along with the lyrics of the songs of the film is done by Amrit Trivedi and Komail Shayam. There are already some of the songs that are being released on YouTube about some days back. Title song of the film “The Pad Man Song” is sung by Mika Singh and is on trending list on YouTube. Another is named as ‘Aaj Se Teri’ which is sung by the very famous star of Bollywood music industry, Arijit Singh. Both these songs are released on YouTube channel of Zee Music Company, under which all the songs of this film are being done. The film Pad Man will be releasing under the banner of Sony Pictures India, who are one of the producers of this movie along with main distributor of the same. Akshay Kumar in lead role is named as Lakshmikant Chauhan whereas Sonam Kapoor is named as Rhea. The film will be covering around 2600 screens in India; also it is a clash between Pad Man and another thriller film that is releasing on the same day, Aiyaary. Aiyaary is directed by famous director of super hit films of all the times like A Wednesday, Special 26, Baby and M.S. Dhoni: The Untold Story, now he is coming up with Aiyaary staring Manoj Bajpayee, Anupam Khair, Nasiruddin Shah and others, which is not a good news for the producers of Pad Man. After the huge success of Toilet: Ik Prem Katha, this will be another inspiration for the nation from Akshay Kumar. We are sure that the film will be a good start for his more upcoming films of 2018.